It's no secret that advertising has infiltrated our schools. From morning news updates filled with commercials, to branded lesson plans, locker ads, and even branded report cards, advertising agencies are foaming at the mouth to hook impressionable youth on consumer behavior before they have developed the emotional tool kit with which to critically analyze commercial media messages. With an entire generation of consumers up for grabs, parents and teachers are left to fight an uphill battle as the desire industry preys on the youths inability to discern between educational and commercial content. It is a troubling situation that is being fought hard by small independent not for profits like the LAMP institute. On the front lines are also parents, concerned for their children and rearing them to the best of their ability. Values instilled at home come face to face with our larger social values in our schools, and sometimes those differences spark annoyance and even outrage. Not being a father myself, accounts of this type of backlash have overwhelmingly come to me from small news agencies and midwestern housewives, entirely divorced from my real life experience. I know that an ad for the new Power Rangers movie disguised as a math lesson plan is insidious and simply wrong, but my emotional connection to that wrong is distant at best and much harder to rally behind than my personal connection to outdoor advertising and its war on public space. (look to the next post on LA's new mural ordinance). That was the case until I was sent an email by a good friend and collaborator on many an art project. His 4 year old son has recently begun school and I have watched his father tirelessly look out for his well being over the past 3 years. 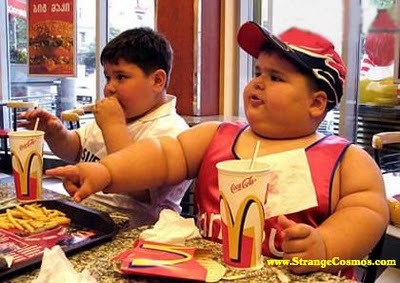 At a recent school assembly, the children were treated to an advertisement for McDonalds, disguised as entertainment. My closeness to the fathers son and their parental relationship made this fathers first hand account as well as outrage bring the magnitude of this wrong into astral focus. Something as simple as good nutrition was anything but. For this father it was a lesson taught over the past years with diligence and patience. To have that undermined by a public institution tasked with aiding this parent in raising a healthy and intelligent boy was inexcusable. What is not in the letter below, but I thought poignant, was that the school repeatedly asked parents to omit brownies and other calorie rich items from bake sale donations in an effort to look after the health of the students. This same faculty then allows a man to sing a 3 minute song about the merits of a happy meal. A brownie may be sweet but the allure of a singing clown, a plastic toy, and the warm yellow iconography of the golden arches ever present on our collective horizon are two entirely different beasts, and a difference that should be recognized by those appointed to raise our youth in a socially and ethically responsible manner. I'm writing to voice my concern and frustration about a specific component of the entertainment selection at the attendance assembly on Thursday, December 8, 2011. Clearly, the assembly is a wonderful event for the children and I fully support it - which is why I have attended every one that has been held so far. The storyteller, 'Babalu', was truly entertaining - he was very animated and seemed to connect well with the kids. However, I was more than surprised to hear his second story center around a trip to McDonald's. It not only highlighted the fast food restaurant itself, but the products (Happy Meals), the choices in those Happy Meals (fries, hamburgers, strawberry shakes), the logo (golden arches), and even the theme song of McDonald's. Reinforcing the jingle of a corporation that contributes to the nutritional void that exists in America is not acceptable under any circumstances - especially in school where children should be educated about good nutritional habits and daily exercise. In a nation where 17% of children and adolescents aged 2-19 years old are obese (New York's obesity rate is 23.9%), this is NOT the message I want preached to my 4 year old son. He is not familiar with McDonald's because our family rarely eats at such establishments. Having my child's school introduce him to products and food that have no discernible nutritional benefit is inappropriate. I fail to see how this story couldn't have been told another way using healthier options. I would like to know if Thursday's entertainer was sponsored - directly or indirectly - by McDonald's or any other for-profit corporation. If there is any agenda that is being promoted - subversively or deliberately, I would like to be made aware so that I can make informed decisions on behalf of my son. Bài viết sau sẽ chia sẻ cho bạn nhận biết gái còn trinh hiệu quả chính xác nhận giúp bạn không chỉ có thể kiến thức mà còn ứng dụng trong thực tế.